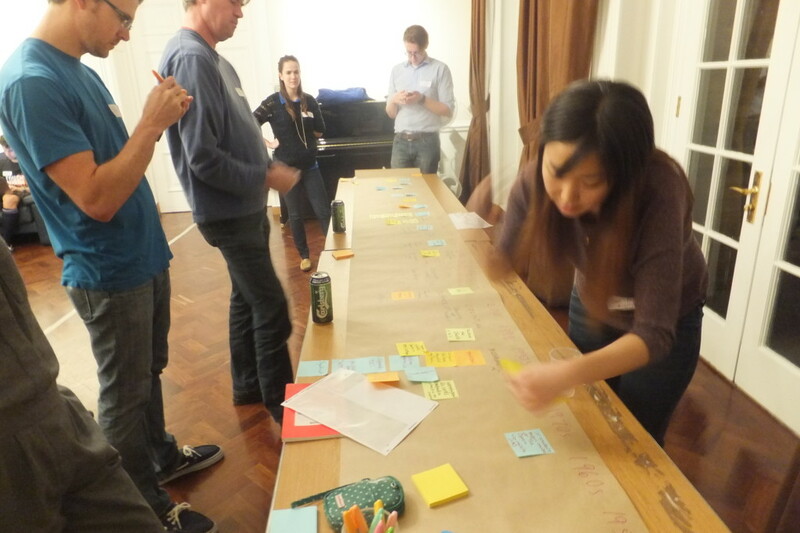 Last night around 15 open education enthusiasts got together at Goodenough House in Mecklenburgh Square, London to drink beer, chat and begin to build a timeline of the open education space. The event Hit the Road Map: A Human Timeline of the Open Education Space was organised by School of Open (Creative Commons & P2PU), the Open Knowledge Foundation (with its Open Education Working Group hat on), and FLOSS Manuals Foundation. After introductions and some warm up activities we got cracking with creating the timeline on butcher paper using multicoloured pens and post-it notes. Although there was a little bit of ‘cheating’ (looking stuff up on the web – hey, that’s what it’s for!) 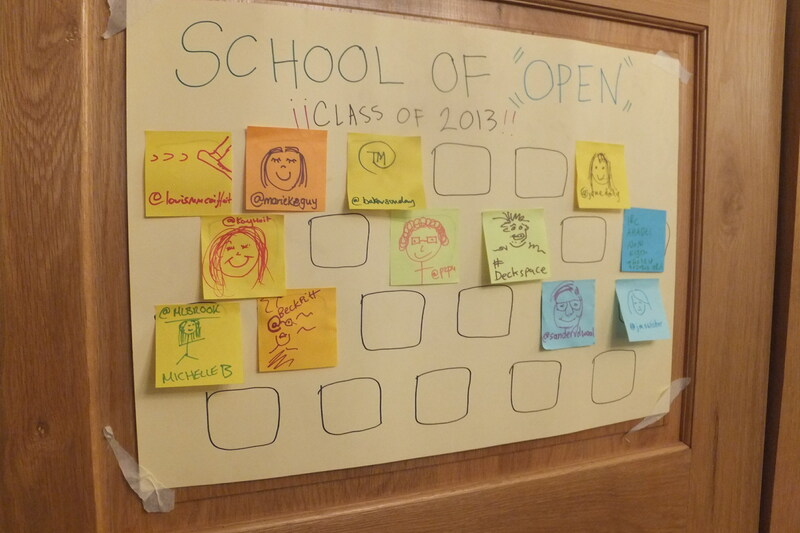 most of the important open education event came from memory and personal experience. 1989: The start of the Web! We have hundreds more – they just all happen to be scrawled on rolled-up paper at the moment! So the plan is to digitise what we have by moving all the ideas in to Google Docs and then create a TimeMapper of them. 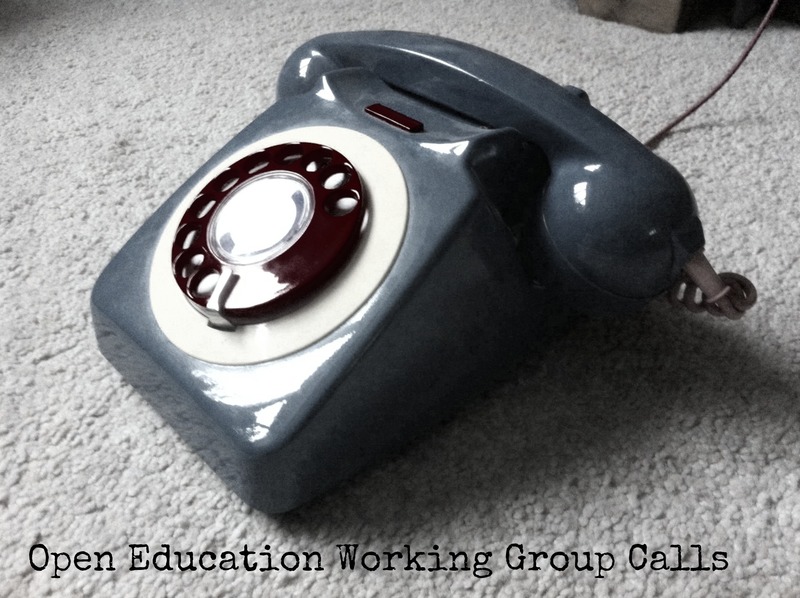 This may form part of the Open Education handbook. At that point we will be able to share the document with you so you can add more information, correct the date and add in your own ideas. 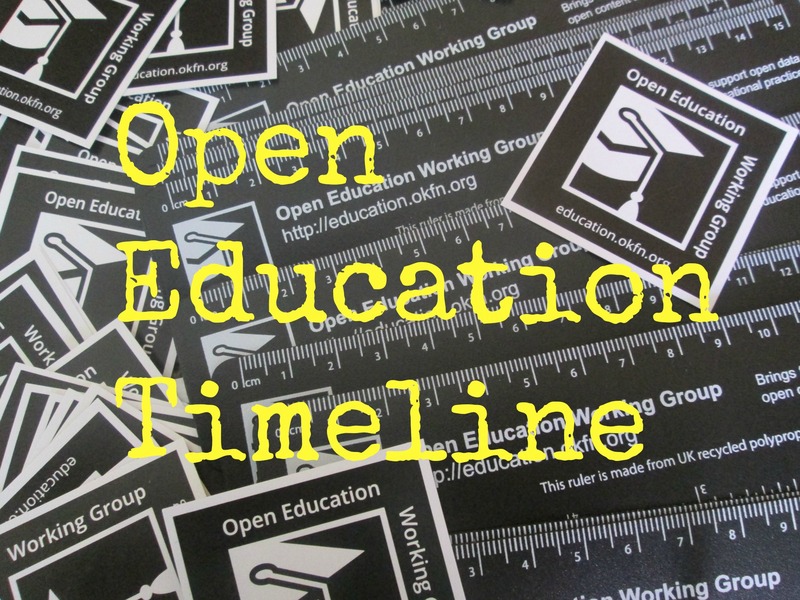 We may even try to run more open education timeline events. Watch this space! More photos of the event are available on Flickr. For many of us this event marked the start of MozFest – the Mozilla Foundation’s huge festival that brings together makers, innovators, teachers and learners. 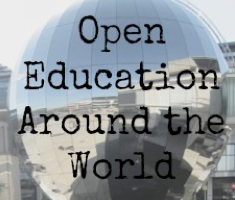 There will be lots of open education related activities taking place and the Open Education Working Group will be about and up for conversations! 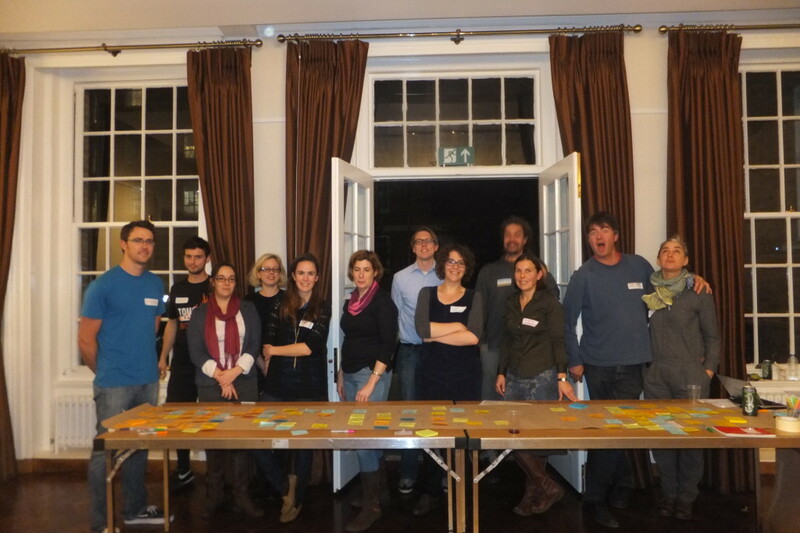 Many other members of the Open Knowledge Foundation team will be about and running sessions too. Hope to see you there!